Taq polymerase is an enzyme used in polymerase chain reaction (PCR) to synthesize DNA in vitro. It is analogous to the E. coli DNA polymerase 1. It can withstand high temperatures used in PCR, retaining its enzymatic activity. 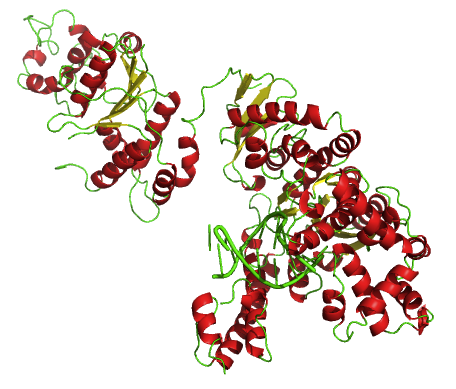 Taq polymerase is naturally found in a thermophilic bacterium known as Thermus aquaticus. The bacterium lives in extremely hot environments such as hydrothermal vents and hot springs. Therefore, it is highly thermostable. The optimum temperature for the activity of Taq polymerase is 75-80 °C. Taq polymerase is a commercially available, thermostable DNA polymerase used in PCR to synthesize DNA. It is derived from the eubacterium called Thermus aquaticus. The natural habitat of the bacterium is hot thermal springs with ambient temperatures of 70-75 °C. The structure of Taq polymerase is shown in figure 1. Taq polymerase is a 94 kD, DNA-dependent DNA polymerase, which is homologous to DNA polymerase 1 in E. coli. Hence, Taq polymerase is composed of 3′ -OH nucleotide addition site, the dNTP/DNA binding site, and the 5′ to 3′ exonuclease site. However, it lacks 3′ to 5′ exonuclease domain for the proofreading of incoming nucleotides. The bacterium where Taq polymerase naturally occurs is thermophilic. It lives in environments with extreme temperatures such as hydrothermal vents and hot springs. Thermus aquaticus is isolated from the fizzing hot springs of Yellowstone National Park in the USA. 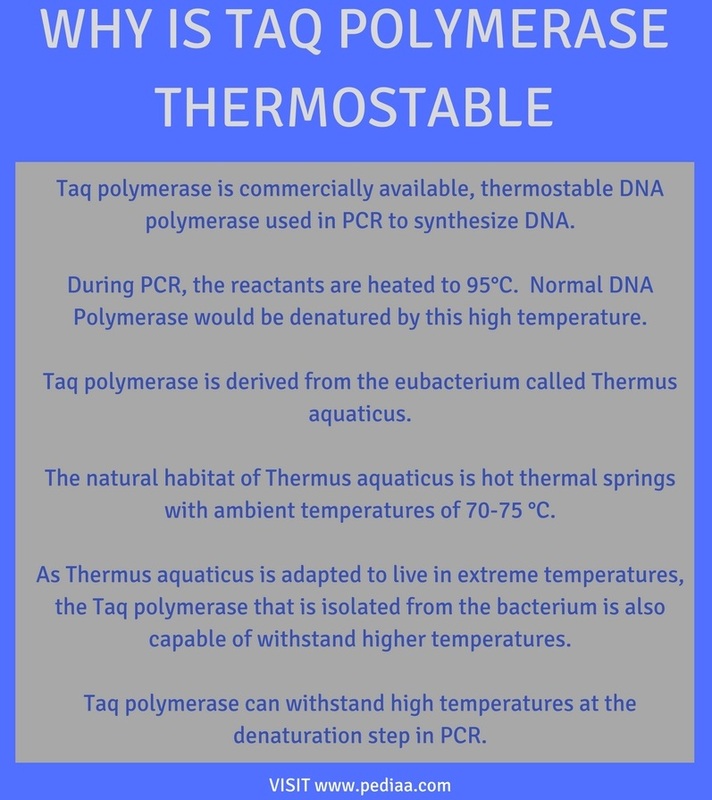 As Thermus aquaticus is adapted to live in the extreme temperatures, the Taq polymerase that is isolated from the bacterium is also capable of withstanding higher temperatures. Hot springs of the Yellowstone National Park is shown in figure 2. The Klenow fragment of DNA-dependent DNA polymerase 1 was first used in PCR that is not heat-stable. However, it lacked the 5′ to 3′ exonuclease activity. The optimum temperature of the Klenow fragment is 37 °C. Therefore, a fresh enzyme had to be added to the reaction per each cycle. The remaining Klenow fragment was denatured during the denaturation step of PCR that occurs at 95 °C. In addition, the Klenow fragment could only synthesis less than 400 bp fragments. 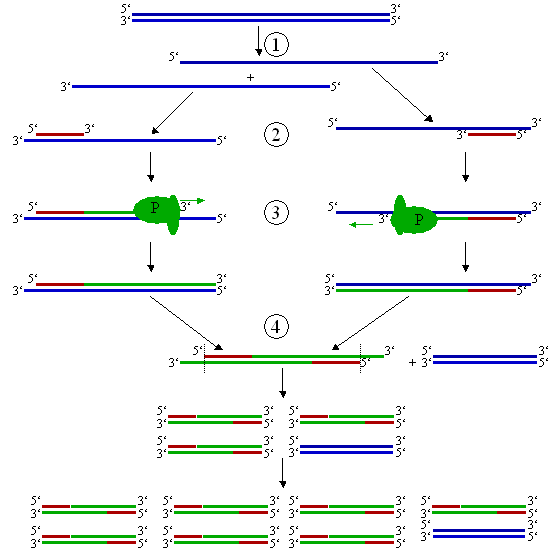 The steps of PCR are shown in figure 3. 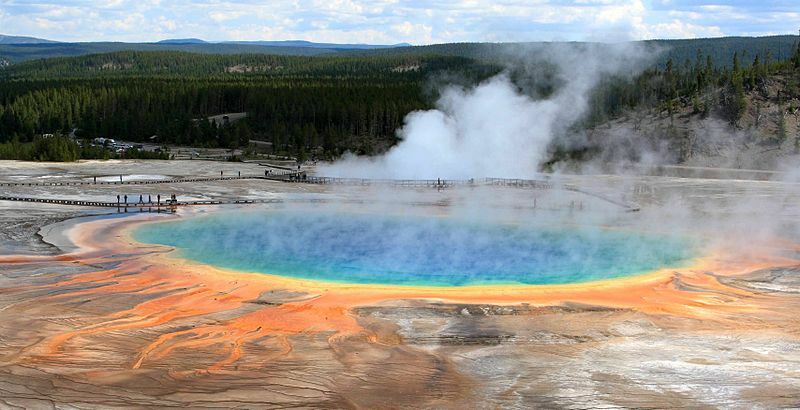 In the meanwhile, in 1966, Thomas D. Brock discovered the thermophile, Thermus aquaticus from the fizzing hot springs of Yellowstone National Park in the USA. After that, the Taq polymerase, which is extracted from Thermus aquaticus was used in the PCR. Taq polymerase is used to extend the primers by the addition of nucleotides to the template during PCR. During PCR, the reactants are heated to 95°C. Normal DNA Polymerase would be denatured by this high temperature. However, the optimum temperature for Taq polymerase is 75-80 °C. Furthermore, the error rate of Taq polymerase is approximately one in every million base pairs. Pfu is another type of thermostable DNA polymerase used instead of Taq polymerase in PCR. It possesses proofreading ability. Therefore, it is more accurate than Taq polymerase. 1. “Taq and Other Thermostable DNA Polymerases.” SpringerLink, Springer, Dordrecht, 1 Jan. 1970, Available here.